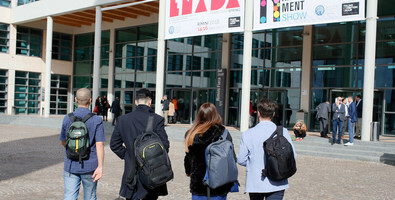 The gaming world once again has an appointment at Rimini Expo Centre for the trade’s reference expo, ENADA PRIMAVERA from 13th to 15th of March 2019, for its 31st edition, the most important expo for southern European trade members. Enada Primavera involves the whole chain of the game, and features a showcase of everything new in this sector; from products, to technology and services from the most important Italian and foreign companies, useful for updating trade members’ knowledge: new slot machines, VLT and video games, all the equipment for amusement, including technology, payment systems, furnishing, fittings and services for amusement arcades and bingo halls. Plus a complete range of proposals regarding online gaming, mobile gaming and gaming facilities offered by Web licensees. Being attended by more than 25,000 professional visitors, which confirms its role as a leading expo and that represents a reference point for gaming trade members’ business and an opportunity for networking and discussion not to be missed. Exhibiting firms, even in 2019 edition, will be laying out in the four twin halls of the west wing of the venue (but keeping the south entrance open, as well as the west one), which ensures a more rational flow of visitors: ENADA SPRING adapts and changes to meet market requirements, and above all those of its trade members. The large expo will not only host the major innovations in terms of products and services but also the aspect will be complemented and completed by debates and events for networking between all the key players of the sector (institutions, manufacturers and network licensees) who will dedicate ample space and attention to the topic of support and promotion of responsible legal gaming that is also controlled and secure. ENADA PRIMAVERA is the right place to boost your business!